Less than two weeks away from Election Day, and some voters in the Bay area are finding out they are no longer registered to cast a vote. It's a small number so far, but nerve-wracking for some to find out they no longer have their say in state politics. Scott Budman reports. 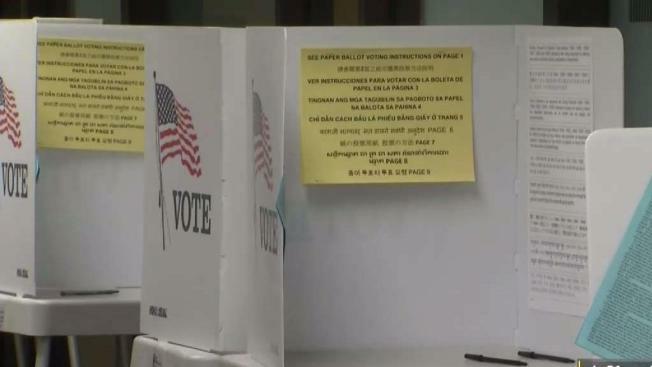 Some Bay Area residents are finding out that they are no longer registered to vote. The surprise comes just a few weeks from the next California election. Anyone who has not received any voting materials yet should call their local registrar to check if they are still registered. San Jose-resident Nancy Kops is one of the people surprised to find out they are no longer registered. Kops got suspicious when her voting materials did not arrive. She decided to call the Santa Clara County Registrar of Voters, who admits there is an issue with a recent $98 million state plan to better organize California's voter records. The process may list some people as registered in a county where they used to live. NBC Bay Area's Scott Budman has more in the video report above.